Now that IDEs have (mostly) common functionality, maybe it's time to focus on style over substance. 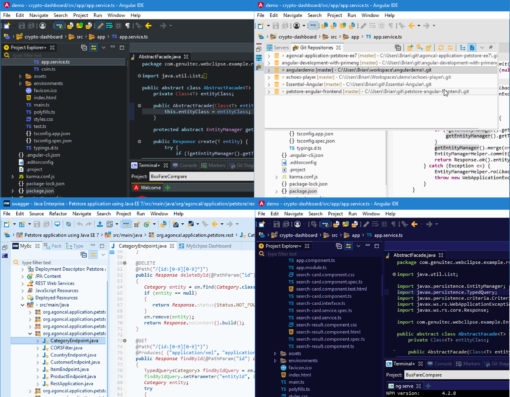 Take a look at DevStyle, a free add-on for Eclipse. The first production version of DevStyle, a free add-on for Eclipse, has been released. DevStyle seeks to dramatically improve the Eclipse user experience for millions of developers with the introduction of modern developer ergonomics and the beautiful styling you’ve come to expect from products in 2017. Over the years, the Eclipse evolution has been towards the development of technology features over design and usability. This was acceptable at the time, as there was a huge need for innovative features to increase developer productivity. Fast forward to 2017, and the once unique technology features of Eclipse have been commoditized and are available across most developer tools. The new ground for competition among developer tools is user experience (UX), in which Eclipse has been slow to respond. We’ve all wanted a modern Eclipse user experience, and it's now available in the form of DevStyle. DevStyle’s styling system includes a variety of professional dark, light, and multicolored themes. DevStyle themes are fully customizable and include hundreds of new icons to give Eclipse a distinctly modern appearance, going beyond the Darkest Dark. In addition to customizing theme colors, an Icon Designer is included for creating truly unique workbench styling. Currently, themes can only be imported. A future version of the styling system will make it easy to export and share your customized theme(s) directly with other DevStyle users. DevStyle replaces the classic Eclipse startup dialog with an enhanced Startup Experience. 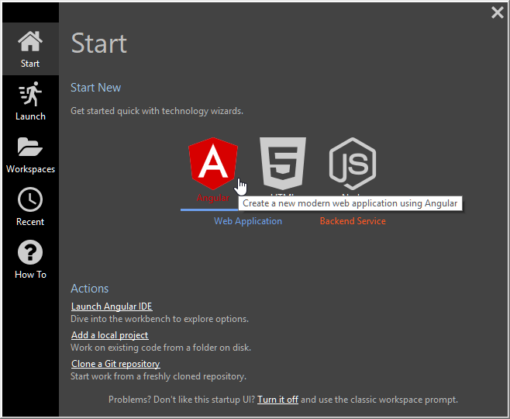 Use the Launch page to start a recent workspace or start a totally new project. Manage multiple workspaces from the Workspace page. The Recent page is great for finding particular files you were working with, even weeks ago, across all your workspaces. Use the How To page to find documentation for the features you have installed. DevStyle includes two power-ups: Inline Search and Breadcrumb Navigation. The Inline Search replaces the traditional Eclipse Find dialog, providing a search experience that is far more efficient and unintrusive – this tool won’t interrupt your development workflow or get lost on your desktop. When editing a resource, use the Breadcrumb toolbar to quickly see the project path, aka crumb trail, of the resource. Click on any crumb in the trail to navigate to other resources in your project. For example, if you are editing a Java class, it’s convenient to open other classes or packages within the project directly from the Breadcrumb toolbar. DevStyle also adopts the increasingly popular evergreen update strategy. Evergreen updates are new software updates that are automatically detected and applied in the background while Eclipse is running (although they can also be disabled). User preferences vary, thus DevStyle is fully configurable so that you can enable or disable individual features. See a feature you would rather not use? No problem. Simply disable the feature to hide the feature or revert to a classic Eclipse behavior. DevStyle is already available on the Eclipse Marketplace, or can be enjoyed as part of the Webclipse plug-in for Eclipse, Angular IDE, or the full-stack MyEclipse IDE.